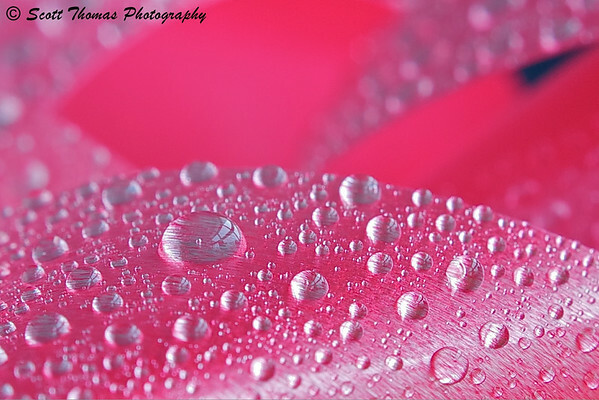 So, you want to try your hand at Macro Photography, do ya? Do have the money for a Macro lens? No? Well, never you mind, as I am going to tell you how to produce stunning macro images from your SLR camera and a lens you already own. Reverse Lens Macro really is amazing. Can you guess what is in Photo Number 1? Put your answer in the comments. 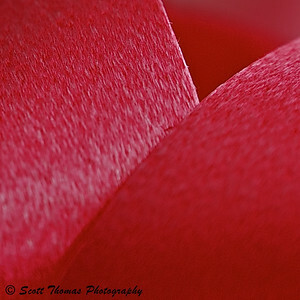 What you need is three things: an SLR camera (film or digital), a lens and an inexpensive macro reverse ring. The macro reverse ring is an adapter where you screw in the front of your lens (just like a filter) to one side of the ring and other side attaches to the lens mount on your camera for a light tight connection. The lens is then on your camera in reverse with the front element facing the camera and the rear element facing away. This creates a magnification effect. You may read where you do not have to use a macro reverse ring but I highly recommend you do for safety. You may drop the lens if you are holding it and dust will easily enter the camera when the shutter is pressed and the mirror swings back exposing the camera’s sensor or film. What lens can you use? In short, any lens that you can find a macro reverse ring for. I have seen long zoom lenses used but I suggest you stick with something a bit easier to work with. Do you have a kit lens? The 18-55 zooms are perfect for this. For the photos you see here, I choose a Nifty-Fifty which is a 50mm f/1.8 prime lens. The reason I did was so I could select the aperture for the photos. With newer lenses, you can only change the aperture when they are on the camera. Wait, you say, the lens will be on the camera. Ah, but in reverse so the contacts which work with the camera are not engaged. In fact, when you view the Exif data of your reverse lens macro photos, the aperture will be zero! Photo Number 2, what is it? Setting up for a Reverse Lens Macro session. Grab your trusty tripod and mount your camera with the reversed lens on it. Yes, you really will need to use a tripod. Attach a remote shutter release or use an electronic one. If you do not have one, use your camera’s timer set to 5 seconds. At the high magnifications, any kind of camera shake will ruin a photo. If your camera has a delayed shutter setting, you can use that. Set your camera’s ISO to it’s lowest setting and put the camera in Manual mode. I know, scary stuff but you can do it. Focusing in Reverse Lens Macro. Now for the part where you will need to call upon your patience and persistence. Focusing. Since the lens is not attached normally to your camera. Auto-focusing does not work. As I do not have a macro focusing rail, I set the lens to it’s closest focusing distance and move either the camera on the tripod or the small subject back and forth until I see areas of sharp focus. No, it is not a very exact method and be prepared for some frustration at first. Soon, you’ll see textures, elements and wondrous macro landscapes like you have never seen. Each change in the camera or subject will bring new compositions to focus. 🙂 Here’s a big tip I was told about. If the camera has LiveView capabilities, use it to zoom in to really nail the focus. I bet you can guess what Photo Number 3 is. Aperture selection in Reverse Lens Macro. This only applies if you can change your aperture when the lens is reversed. With the Nikon 50mm f/1.8 lens, I can. First, just like your camera does automatically for you when the lens is on correctly, open the lens to its widest aperture. For this lens, that is f/1.8. That will let the most light in and make focusing easier. Once you are satisfied with the focus, you can manually step the lens down to smaller apertures giving you more depth of field. Well, as much depth of field as you will get at high magnification. Some people like the look of macros with a slim area of focus with the rest of the photo out of focus. Others, step down their apertures to f/8, f/11 and even f/22 to get as much in focus as possible. Sound familiar? Remember, since you are in Manual mode, you will have to set the shutter speed based on the camera’s meter reading. The Fun Begins! Start looking around your house, yard, nearby park, etc. 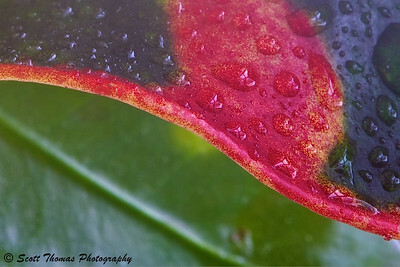 for interesting subjects to photograph with your Macro lens. Look for things with textures, colors, deep areas or layered areas. They can be inorganic or organic. If they are living, please, be respectful (and good luck getting a moving object like an insect in focus!). The fun in this kind of photography is seeing if other people can guess what it was you photographed. Oh, and do not forget a spray bottle filled with water, clear or colored, to give your photos a little added pizazz. Photo Number 4 are water droplets on a what? Nikon D700/50mm (reversed), 1/2s, f/16, ISO 200, tripod, mirror lockup, remote shutter release cable. Now, I do not want to hear you complain if you own a SLR camera and a short prime or zoom lens that you could not create something for my Close Up Photography assignment this month. It is a lot of fun. Can anyone guess what is in my photos? Leave me a comment below. This entry was posted in Nature, Photography and tagged 50mm, focusing rail, lens, macro, nifty fifty, nikon D700, reverse, ring. Bookmark the permalink. Wow, interesting information. Thanks so much for the tutorial. I am fairly new at photography and never heard of this technique. Thanks again for the great post. You are welcome. You have a very interesting blog and I salute you to posting a photo a day. This is an interesting post Scott. With very good macro images. It is difficult to see what things are when you only have a small fraction of it. 2: The kind of ribbon used for wrapping gifts? 3: The edge of a flower, maybe from the Araceae family. 4: Tulip petals, or perhaps the same subject as in #2??? You were a minute faster than Michaela but you hesitated on #4. Your second answer was correct. I would have given you a bye on #1. It was a bread slice, not a crumb. The bread was easy, and the texture gave the ribbon away. Ok now I’m curious. I tried this a while back, with my Sigma 18-200 lens (I think?) and my Nikon D300 – and when looking through the viewfinder, couldn’t see a thing! Now, I didn’t use a macro reverse ring, cause I don’t have one. but… still stumped, why couldn’t I see anything? I honestly cannot remember WHAT exactly I did, that’s the thing, though. oh well. Sounds like the aperture was stopped do a lot OR you didn’t get the lens lined up with the camera’s mirror properly. This is a tough technique to use and master. I found the real macro lens the most intuitive to use but RLM created the most fun and interesting images. It is good there is an option for those not owning a macro lens. Folks should be warned….once you try this technique, a macro lens is fated for your future! I am in a hiatus on lens buying this year. I will be getting lots of accessories like those macro extension tubes you and Karma use. I need to budget a couple for next year with a macro most certainly on the list. Not flowers, package ribbon. Actually, a bow from a bag of them left over from Christmas. I actually agree with the answers given by milkayhoto. I am really having fun doing close up photography. I have several to post. I have a reversing ring ordered. I hope it gets here before the deadline. I do have a macro lens. I am trying all different ways of doing close up photography. I really enjoy the zoom lens and then cropping to get the closeup. I still need to do more with my 105mm macro. Looking forward to your submissions, Mary. Sounds like you are having some fun. i was trying to do this before i buy a real maro lens, but i accidentally broke my 50. sob. thanks! Oh, sure, where’s your creativity? I especially like #4 because of the etched droplets. On the other hand, you can eat #1. There is no way I would get in a flashy fuchsia sports car. Nope, not happening. Your guess on #3, there are house plants but the purple blight part might be right. I definitely know what #1 is, but after that I’d just be guessing. I love all the shots, though. Thanks, Mitch. 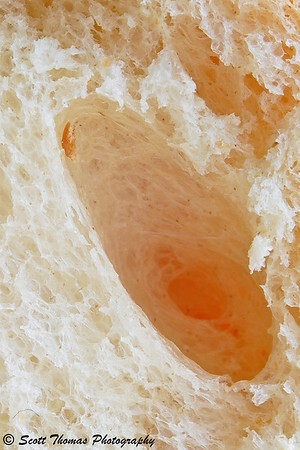 If you ever write about bread, ribbons or plants and need an image, let me know. 2. & 4. Gonna go with the ribbon vote…satin perhaps? 3. An interesting looking flower…??? With a leaf in the background. #1. Nope but you are in right food group. #3. Just a plant, no flowers. What are the actual answers, Scott? I was hoping I would throw off some people for a bit. However, our macro veteran, Michaela, was dead on with her answers. Carsten was close but he hesitated a bit. Well, my guesses were correct (or near enough), but since so many others already guessed correctly, and I read them, I decided not to post them. Those are amazing shots! If it’s any consolation, it took me a little while to guess the first one. I had to go back and look a few times. Thanks, Robin, that does help my ego a bit. These are great . Brilliant techneques..